Soon, there might not be a market for ads delivered on smartphones, and that’s not exactly what publishers and advertisers had hoped for. 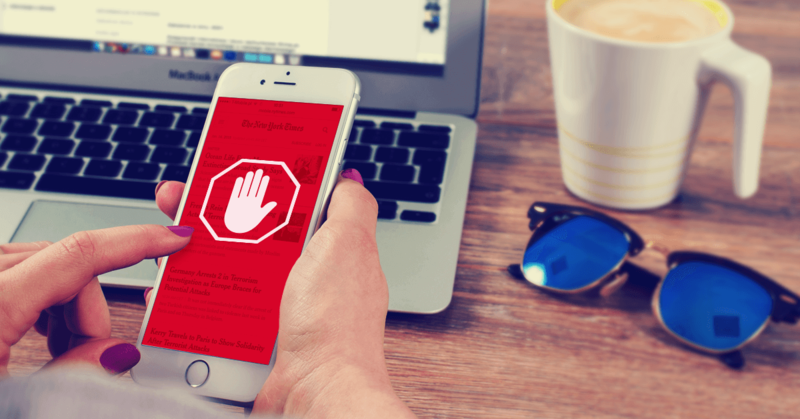 According to a new research report from PageFair, an Irish startup that measures and assists publishers in managing ad blocking, reports that 419 million people are using a method to block ads on their smartphones. That’s the equivalent of 22 percent of the world’s 1.9 million smartphone owners, enough to cause concern among advertisers targeting the mobile realm. The report was compiled in partnership with Priori Data, a Berlin-based mobile applications intelligence company. Some of the heaviest ad-blocking on smartphones occurs in Asia, where 36 percent of users have grown sick of mobile ads and have chosen a way to block them, according to the report. As of March 2016, some 159 million people use mobile ad-blocking browsers in China, roughly 122 million in India, and no less than 38 million in Indonesia. In Europe and North America, a mere 14 million users use mobile ad-blocking browsers – with only 2.3 million in the U.S. Overall, the report reported that mobile ad-blocking has grown with 90 percent during 2015, and the trend is not going to die down. At the moment, the report’s writers found 45 different kinds of ad-blocking browsers to choose from. It’s not just users who have taken the matter into their own hands; ASUS decided to partner with Adblock Plus to make ad-blocking default on 30 million handsets in 2016. The report is less likely to please advertisers and publishers who are constantly looking for new ways to connect with smartphones users. Mobile ad spending has become an important part of the ad industry. And if researchers didn’t believe in the threat of mobile ad blocking, it’s time now to face the music. A research note published by UBS last September showed how confident they were that mobile ad blocking won’t become a mainstream activity. But with PageFair’s numbers, ad blockers are clearly a threat to the growing market, with the power to make mobile banner ads disappear within three or four years. But for annoyed users who are tired of closing pop-ups and watching video ads, the end of mobile marketing can’t come soon enough.